Our range of products include air ventilators, turbo air ventilator, frp air ventilators, roof ventilators and wind driven roof ventilator. 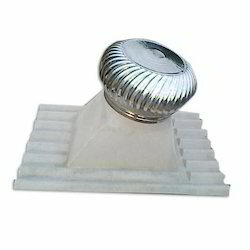 Our organization is proficient in offering a comprehensive range of Air Ventilators. ourproductsare best suited to serve both hotel and domestic industry. 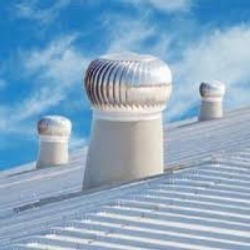 The key attribute of our ventilators is that they are very effective in absorbing dust, smoke, hot air, moisture and foul smell from chimneys. Throughout the year, we are at our clients disposable. Attributable to a long haul destination for our business, we are occupied with offering a wide extent of Turbo Air Ventilator. It is generally utilized as a part of mechanical spots for evacuating destructive gasses and giving legitimate ventilation. Our offered ventilator is fabricated utilizing premium evaluation material and refined systems under the observation of prepared experts. We offer this ventilator to our customers at pocket cordial cost.